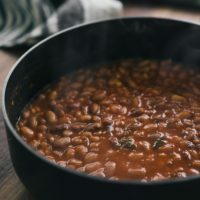 Spiced Pinto Beans | Cooking Component | Naturally. Below is one of my favorite pinto recipes. It’s nothing too adventurous but these are the beans I use on grain bowls, tacos, and even nachos (like these ones I shared on instagram). 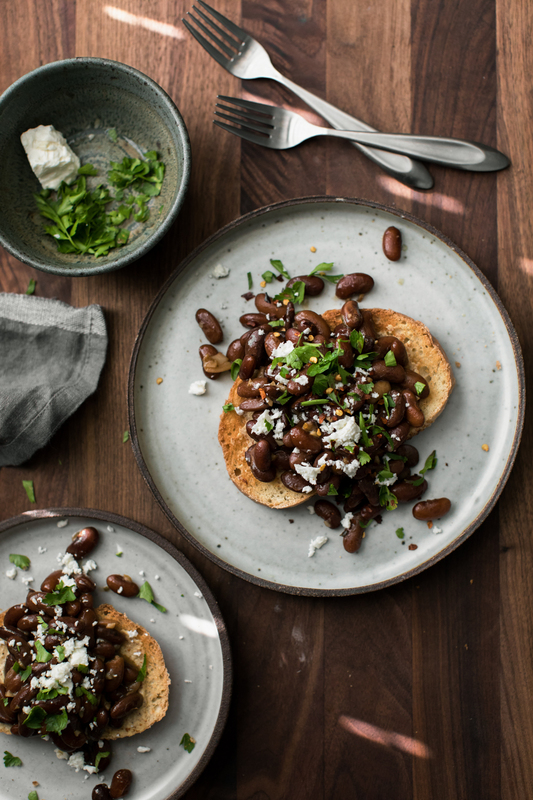 Start with the dry bean and you won’t be disappointed! 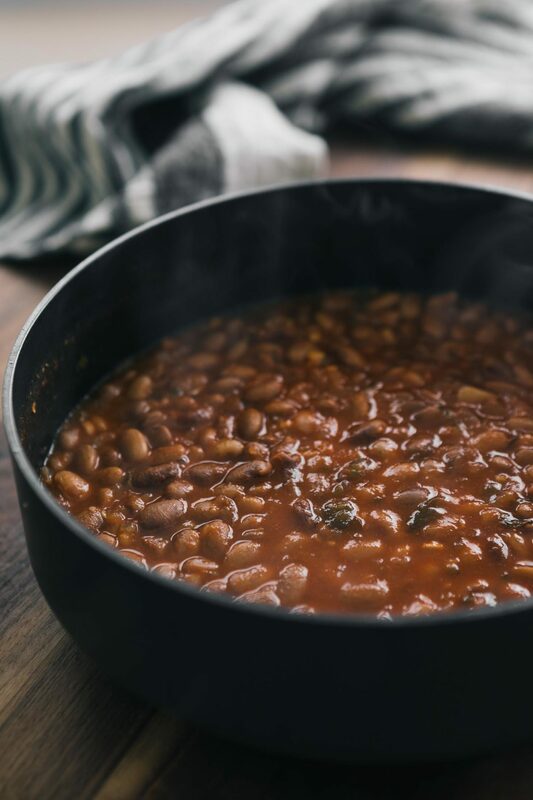 An easy component that takes dried, bulk pinto beans and turns them into a delicious meal or base for another recipe. Rinse the beans and place in a pot covered with water, 2” above the beans. Cover, bring to a boil, turn off the heat, and let sit for an hour. This will provide the beans a quick soak. Alternatively, soak the beans for 8 hours/overnight. While the beans are doing the quick soak, heat a pan over medium heat. Add the diced onions and poblanos to the pan and cook until soft, 4 to 5 minutes. Stir in the garlic and cook for another minute. Drain the beans and add fresh water to the pot (see note) along with the cooked onion mixture oregano, and cumin. Bring to a boil and cook for 15 minutes. Reduce to the heat to a simmer, add the salt, and cook for another 20 to 30 minutes, until the beans are tender. Stir in the tomato paste, taste, and adjust seasonings as desired. Tips & Tricks: Cumin: use the whole cumin seed and toast in a dry skillet then grind. You can use pre-ground cumin, the flavor just won’t be as prominent. Draining the beans: This is up to you. After you do the soak, you could opt to leave the soaking liquid in. Some people say you need to drain to get rid of the anti-nutrients while others say you lose the flavor. If you don’t have issues, keep the water. Spicy: Use the poblano with the seeds or toss in a spicier pepper or crushed red pepper. Tomato-free: I like the extra flavor boost the tomato paste adds but you don’t necessarily need to add it. Bowls: Use the beans to top grain bowls with quinoa, rice, or even polenta. 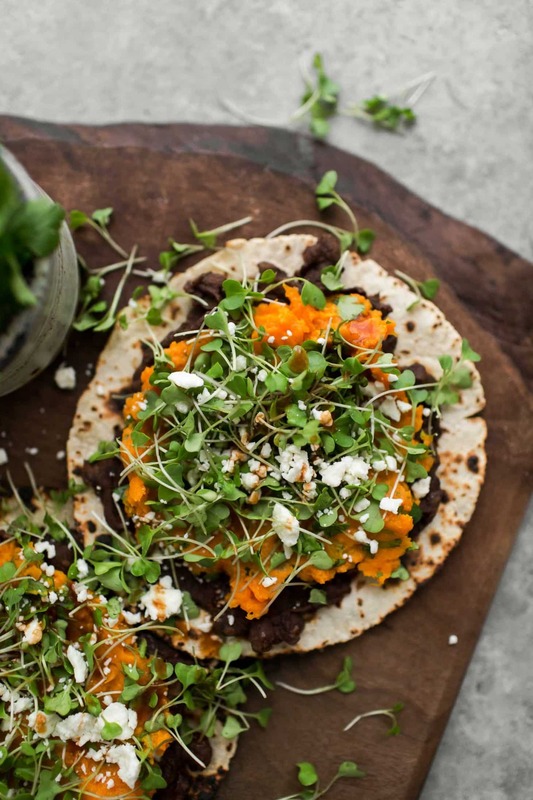 Tacos/Tostadas: These beans are great for a taco or tostada topping, especially paired with avocado. Enchiladas: Lightly mash the beans and spread in tortillas for a solid enchilada filling. 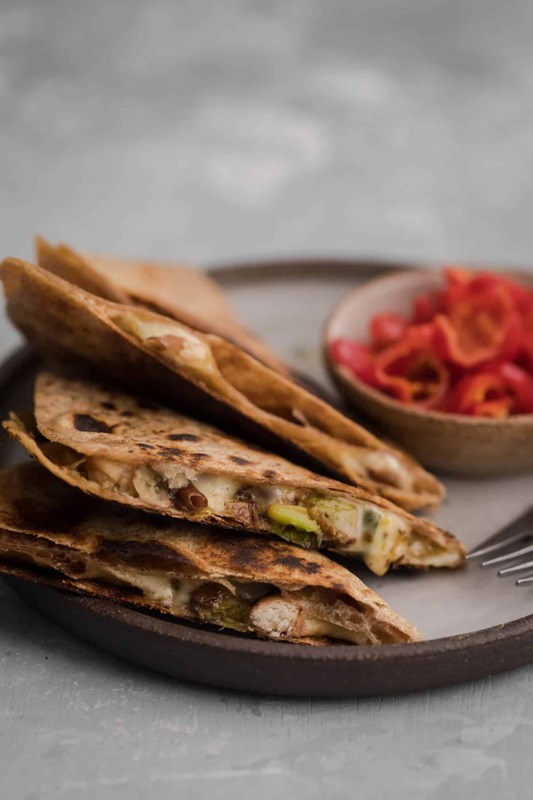 Combine with vegetables or just cheese. 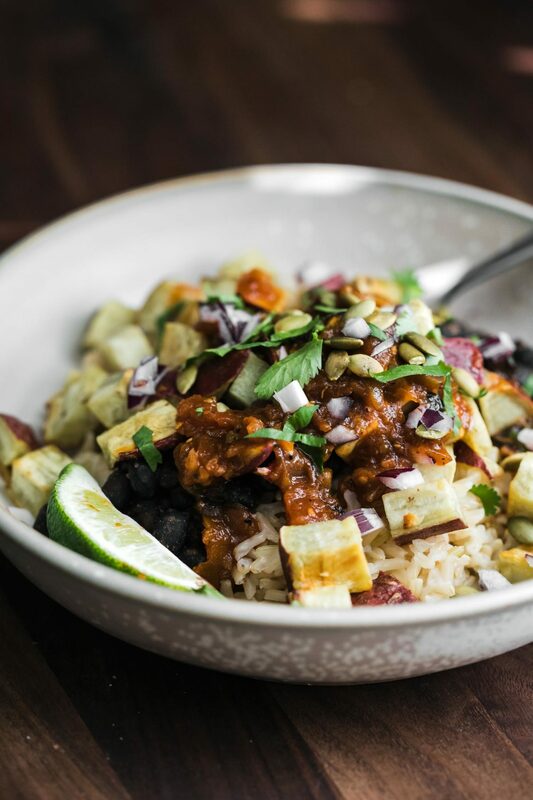 Nachos: Make vegetarian loaded nachos with these beans, avocado, minced red onion, and your favorite hot sauce. Eggs: Either with or without grains, these beans make the perfect breakfast with eggs. Dip: Puree the beans and make them into a dip. Top with cheese, bake, and have the perfect hot dip. What are your storage recommendations for this recipe and how long will it last for? 5 to 6 days in the fridge or a few months in the freezer!